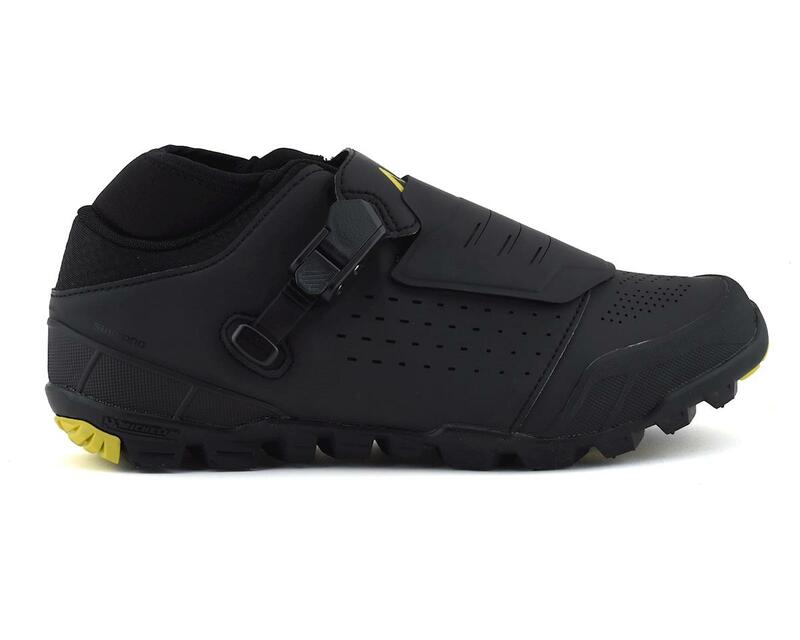 Need a durable, protective, and grippy enduro shoe? Look no further, the ME7 has all of those benefits and more. 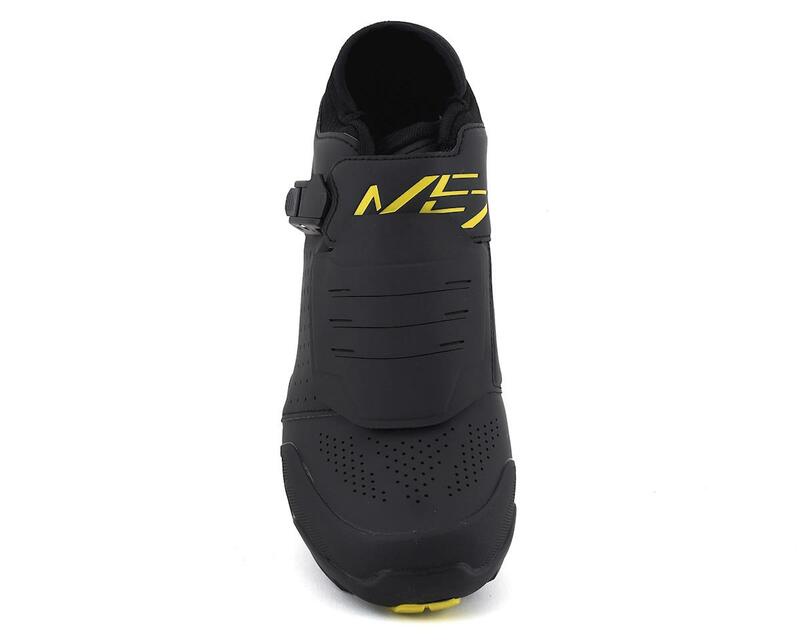 The ME7 has a speed lacing system that quickly and securely fits a wide range of foot shapes. The cinch speed-laces get the shoe nice and tight while the laces a have cover to protect them from the wet and other trail debris like stickers. There's also a kind of neoprene sock along the inside of the upper designed to keep trail debris out as well as provide a little bit of grip to your foot while riding. 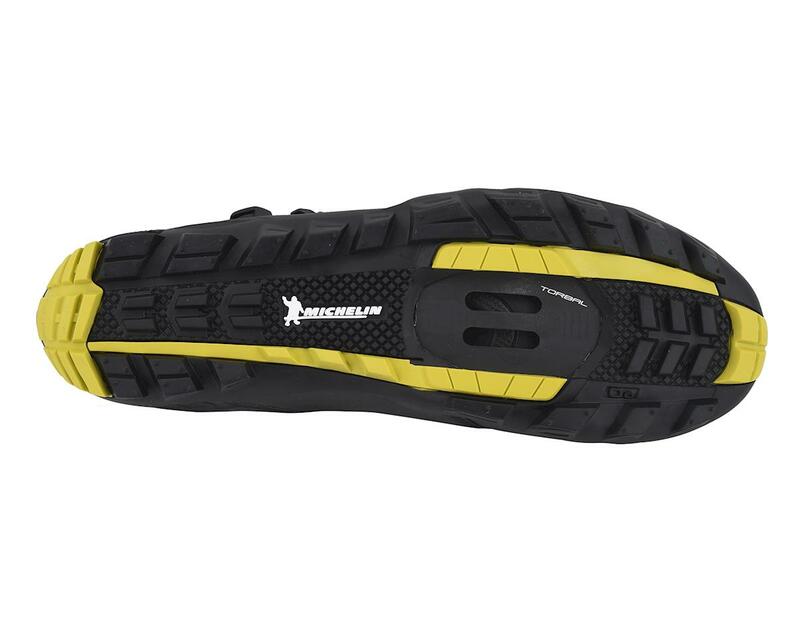 The grip on this shoe comes from a high-performance Michelin dual-density rubber outsole. The "Torbal" (Torsional Balance) feature on the rubber outsole improves bike control by giving the heel some flex from lateral movement. The Torbal feature also offers improvement in balance by optimizing pedaling efficiency at the sole/cleat interface. The ME7 has a reinforced protective shell for more durability in terms of defense. Flexible, yet protective, this comfy, premier trail/enduro shoe will meet the needs of your send-y times.